When the exterior of your refrigerator is hot, it is a sign that your fridge needs some maintenance. A hot refrigerator may be wasting energy by running constantly and overheating issues can cause your compressor to fail. Other malfunctions and electrical failures occasionally lead to overheating issues, which can present a fire hazard. While you can perform some simple upkeep yourself, refrigerators typically require a skilled maintenance person or professional appliance technician to perform service. Keeping the door of your refrigerator open may lead to overheating. Storing a refrigerator in a hot room or keeping it in a garage in the summer can cause a compressor to overheat trying to keep the interior of the appliance cold, which may lead to a fire, warns the City of Las Vegas website. 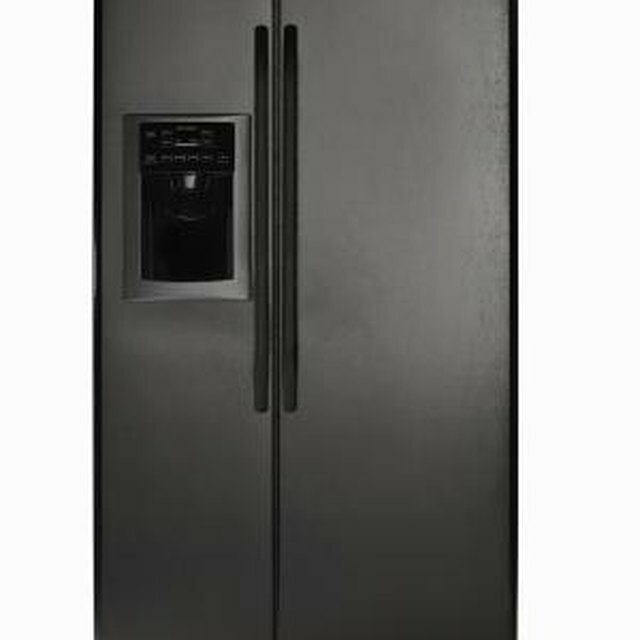 Make sure your refrigerator is located the proper distance from your oven and other sources of heat, warns TargetWomancom, which also notes that frost-free refrigerators have compressor parts that can wear out faster than those in other refrigerators. Clean your refrigerator monthly if you have a large accumulation of debris or every six months if you have less dust buildup. Purchase a coil cleaning brush, remove the lower cover at the back of the refrigerator and remove the grille at the bottom front to do a proper cleaning job, notes The Family Handyman. To begin, unplug the refrigerator, then vacuum the back of the refrigerator and under the front, along the bottom edge and behind the grille. Vacuum around the condenser coils, condenser fan and any vents and clean the grille. When finished, replace the covers, then plug in the refrigerator. Poor air circulation inside your appliance can lead to hot spots on your refrigerator's exterior. Ensure that debris or food stored inside the refrigerator doesn't block the ducts, vents or fans. For example, The Family Handyman suggests you only fill the compartment three-quarters full to prevent blocking vents in the freezer. This keeps the vents clear and allows air to circulate. A bad seal may cause your refrigerator to run constantly to try to maintain the interior temperature. Check that the door is closed tightly after each use. Inspect the seals around the door regularly to check that they are in good condition. The seals should be clean, not warped or separating from the door. The Family Handyman suggests you regularly wipe down your gasket with warm water to prevent sticking, which can lead to damage. What Causes Condensation in a New Freezer? Do Freezers Use More Energy in the Hot Garage?